Futon chair has a smooth movement on spring metal hinges and standard backrest vertical tenoned logs. It comes standard with 8" mattress cover and green cover. Chair is individually hand crafted and made of hand peeled white cedar logs giving it a natural rustic look. It is clear coated with a catalyzed lacquer finish for extra durability. 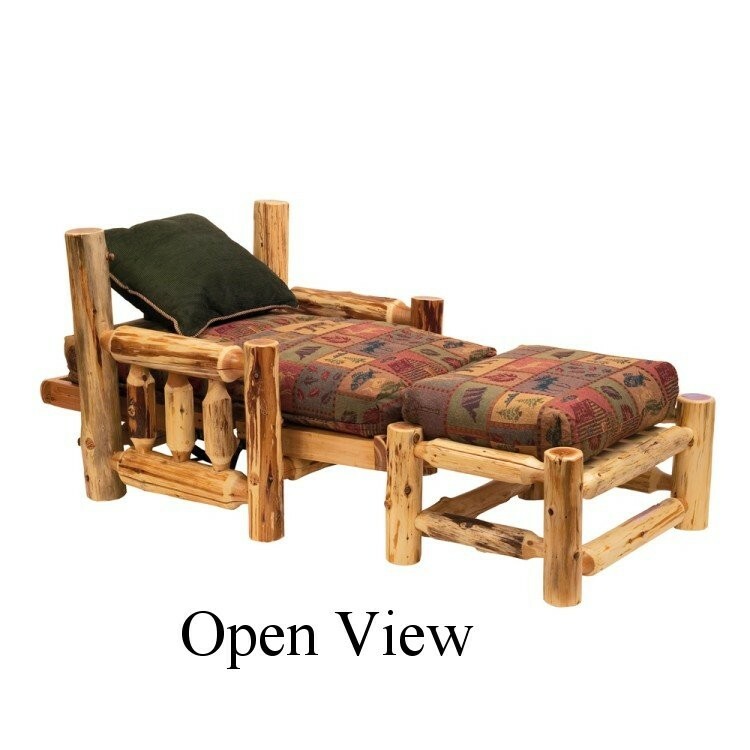 Log Futon chair has a smooth movement on spring metal hinges and standard backrest vertical tenoned logs. It comes standard with 8" mattress cover and green cover. 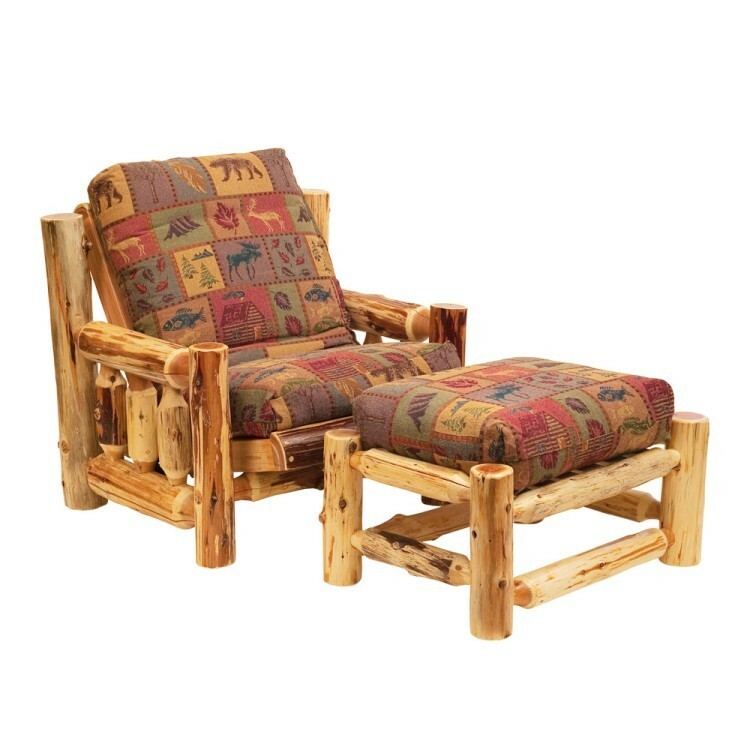 Chair is individually hand crafted and made of hand peeled white cedar logs giving it a natural rustic look. It is clear coated with a catalyzed lacquer finish for extra durability. 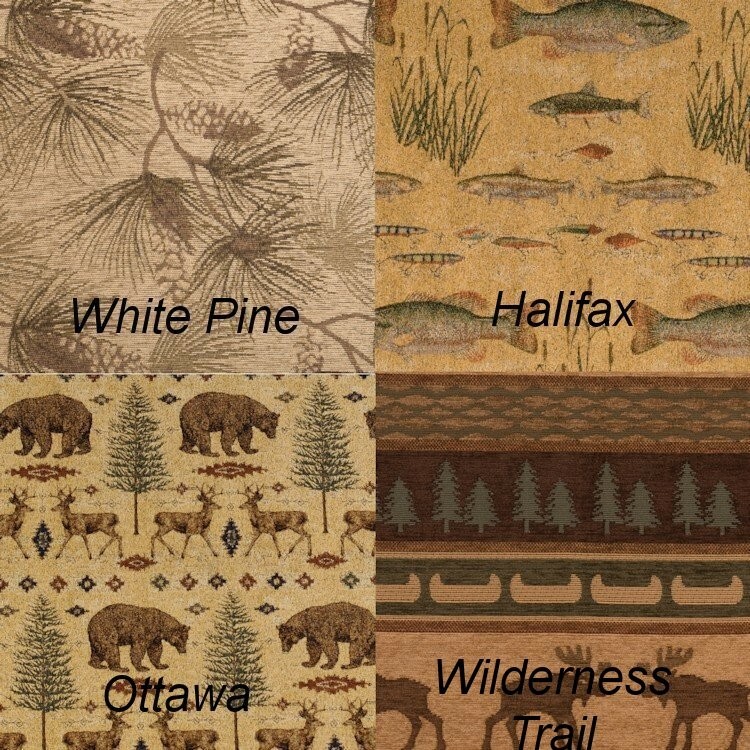 NOTE: Fabric shown on furniture is no longer available.